What name should the new Herts NW London-based team adopt and which league should they play in? The first Herts baseball team based in North West London is set to make its BBF League debut in 2019. Apart from preparing the NW London ballpark for Opening Day, the club’s management also has to determine various other aspects such as the name and logo of the team, its uniform, which BBF league to enter, appoint a team manager and a lot more. 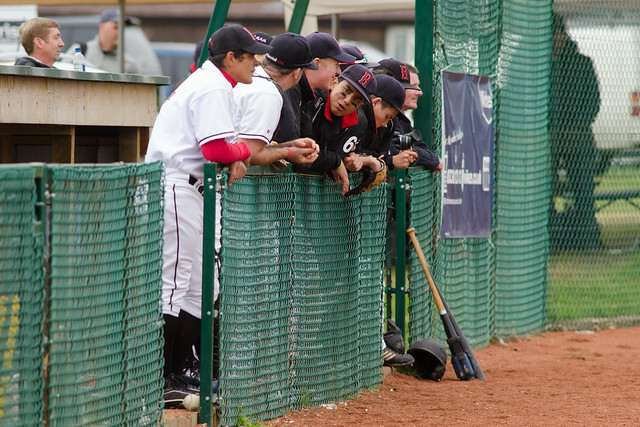 With the MLB London Series creating a real buzz in London and Hertfordshire, there is even the possibility of the club launching more than one new team in NW London to play in the adult and youth leagues of the BBF. When a new team is born, sports clubs take different approaches. Some choose an original name which is symbolic for the city or state which the team is based in such as the Arizona Diamondbacks (1998) or the Florida Marlins (1993). Others go for names with historical significance, such as the Washington Nationals who joined MLB in 2005. They were considering restoring the name of the Washington Senators who first played in the National League from 1892 to 1899. The Senators franchise moved to Minnesota in 1961 and in 1971 relocated to Texas where they continue to play as the Texas Rangers. The rights to the name Washington Senators was held by the Texas Rangers and the Washington franchise could not acquire it from them in 2005. Instead, they decided to go for the name Washington Nationals who first played in the American League between 1905 and 1956. However, they were successful in acquiring the curly “W” logo from the Rangers. There are other clubs who even turn to their fans to give the new team its name, at the risk of ending up with “Boaty McBoatface”. “The name of the team has not been decided” said Herts board member, Aspi Dimitrov. He explained that the board has been considering this and “ideally, the club would like to retain the ‘Herts’ branding, while at the same time incorporate ‘London’ into the name, which limits our choice and it would be difficult to ask Herts fans to come up with a name within such a narrow criteria, but we would still like to hear the views of club members and fans on this”. How about the uniform? Should we expect the first London-based Herts team to unveil a mind-blowing colour scheme such as the Miami Marlins, whose uniform, despite the team’s poor performances, has become a popular fashion item worn by celebrities? We understand that it has been decided to adopt the existing trademark Herts uniform as the club is keen not to add extra costs for those existing members who live in London and who already have that white Herts uniform. The question which Herts fans will be most intrigued by is which BBF league will the team play in. That will depend to a large extent on the calibre of players on the roster. The club will shortly be launching its 2019 player registration. The online registration form will ask each adult and youth player to indicate whether they prefer to play their home league games in Hemel Hempstead or in NW London, or whether they would be happy with either. This will provide vital information to club management about how to go about forming the first team which will play in NW London without affecting existing teams based in Hemel Hempstead. If there is a sudden influx of highly experienced players who would like to play in NW London, the club is keeping its options open about which of the four BBF leagues the team should apply for. Of course, just as important is the formation of youth teams at the NW London branch of the club. The club is expected to adopt the same approach in the youth leagues and it would be interesting to see which department will grow faster in NW London – the adult or the youth baseball teams or perhaps softball.